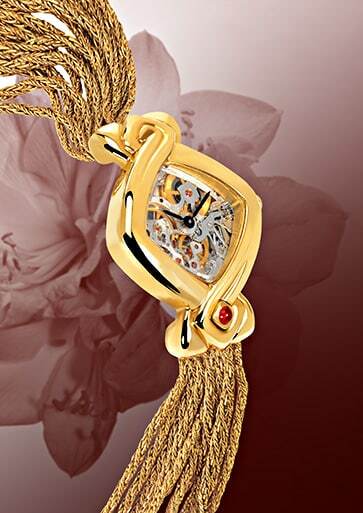 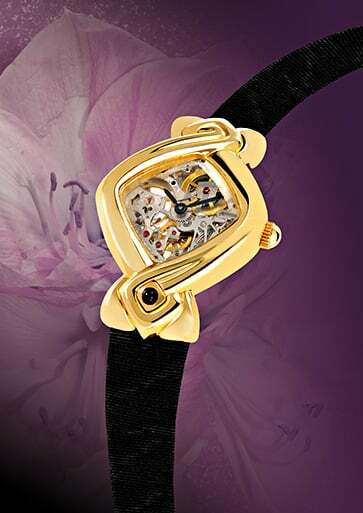 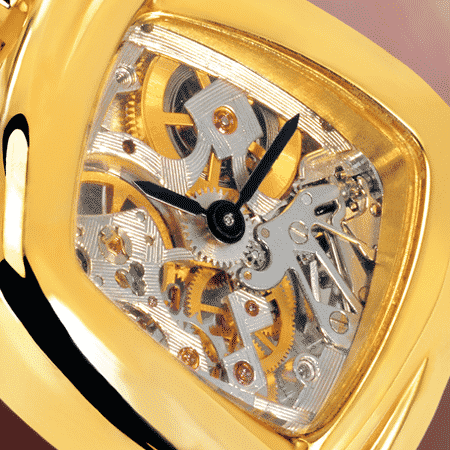 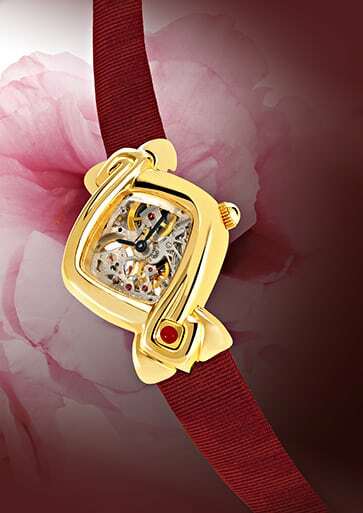 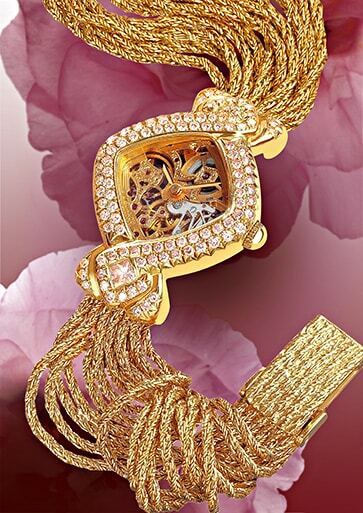 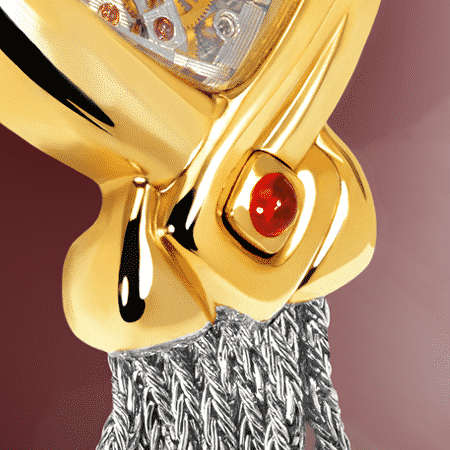 For lovers of beauty and mechanical watches, DELANCE presents a gold watch equipped with the Piguet 8.10 movement. 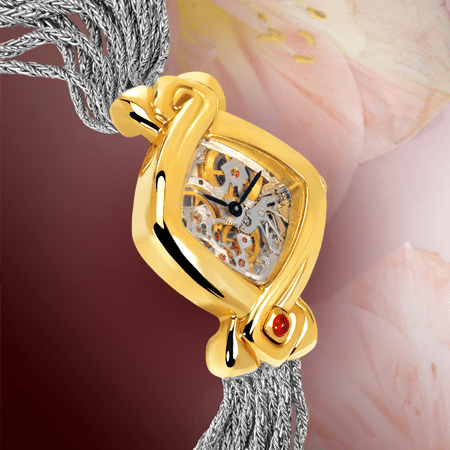 This delicate marvel has been skillfully chased and engraved piece by piece by an artist poet from Switzerland’s Joux Valley. 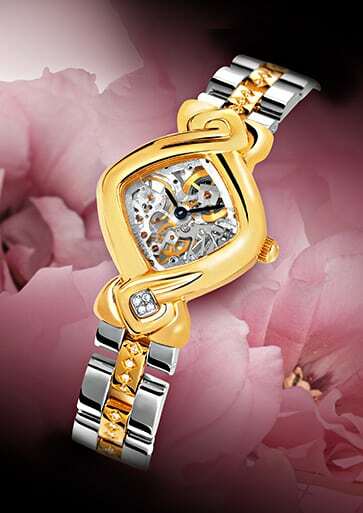 Designed to harmonize with the shape of the watch, the skeleton zing and engraving are unique. 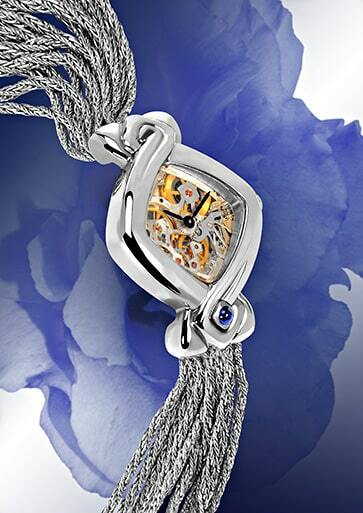 Make an appointment to personalize your Delance. 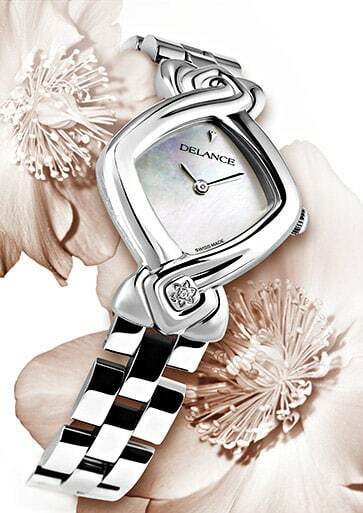 I like this Delance watch as it is shown here.